Currently as the ERP/SAP Training Manager for Navy SPAWAR System Center Mr. Roberts is accountable for development, delivery and sustainment of all ERP training to an end-user population of 9500 personnel at Team SPAWAR. Mr. Mark Roberts has twenty years experience in manufacturing systems implementation, business development, information systems, and training and development. 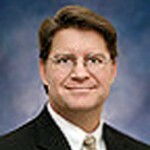 He has over five years of SAP consulting and ten years of project management consulting experience and is PMP certified. Additionally, he has worked on many engagements directing and assisting in the implementation of their enterprise wide solutions. As Owner, President & CEO of Advice Financial Corp., Mr. Roberts has responsibility for managing the overall operations of the company. In this capacity, Mark is charged with seeking out and identifying opportunities for growth, continuous quality improvement, and increased profitability for the clients whom we serve. In 1994 after seven years of experience as a fortune 500 aerospace consultant and business professor, Mark founded the Christian Financial Foundation. A non-profit group dedicated to identifying solutions to for people with burdensome debt. That same year Mark became a Registered Securities Principle and embarked on helping people manage their assets through proper financial and estate planning techniques. Mark’s education includes a BA and Masters of Science in Management, Certified Estate Planning Certificate, Registered Securities Principle and Life Agent, Sr. Loan Officer and Senior Real-estate Specialist.